Cartographically the 19th and early 20th centuries were characterized by the efforts of European colonial powers such as Britian, France, the Netherlands, Germany, Belgium, Italy, Russia and Japan to acquire maps of their newly-found possessions overseas. In this process large areas of the world which were previously unmapped were surveyed and mapped, either by government organisations working directly from the motherland or by local survey departments established in the colonies themselves. Colonial mapping often provides a benchmark from which modern post-colonial mapping may be compared, hence it is vital to understand the methods of mapping adopted and the nature of the mapping products before such comparisons are undertaken. 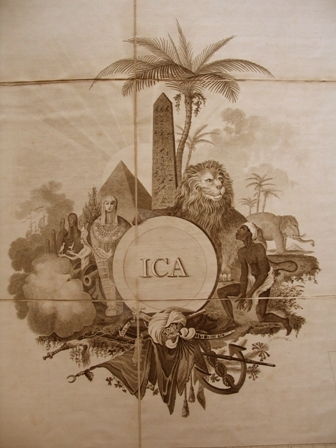 The ICA Working Group on the History of Colonial Cartography which existed prior to 2007 was dedicated to achieve such understanding. Although the tenure of the WG has been terminated when it was incorporated into the Commission on the History of Cartography, the CHoC is determined to continue this undertaking. Because the research interests of the previous Working Group overlapped with that of the current Commission, news concerning the research and academic achievements of members of the Working Group has been retained on the website of the Commission. Particulars concerning the International Symposium of the Working Group which took place at the University of Utrecht in the Netherlands in August 2006 can also been found on the Commission website. Previous members of the Working Group have automatically received membership of the Commission and need not apply for new membership.